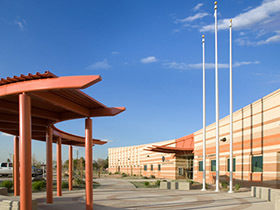 Salt River Pima Maricopa Indian Community Detention Center - The SRPMIC Adult and Juvenile Detention Center provides housing for 130 detainees with planned future expansion to 200. The facility is designed to reflect the cultural and community values of the Salt River Pima-Maricopa Indian Community, and focuses on the importance of rehabilitation and successful reintegration of its members back into the community as part of the healing process. As part of the master-planned community complex, the site is organized with the administration building flanked by two intake areas, one for juvenile and one for adults. The 561,000 square foot mid-rise in Downtown Phoenix is seven stories, holding over 1,000 cells and over 2,000 beds for pre-trials and inmates. 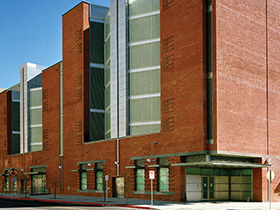 Low to high security is provided at the County's main detention facility. Wilson Electric provided preconstruction design assistance and electrical installation for the ground up construction, and NETSIAN provided customized design and installation for the integrated controlled access system, including 750 security cameras and over 2,000 electronically operated cell doors and passages. This 288,000 square foot, seven story tower is designed for the City of Tucson and Pima County as a joint usage courts building located in the heart of downtown Tucson. 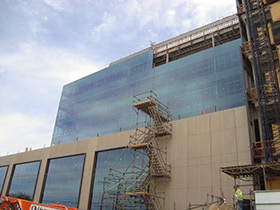 Adjacent to the partially occupied existing facility, Phase I's shell build out is expected to be complete in December 2013, with Phase II providing the physical build out. 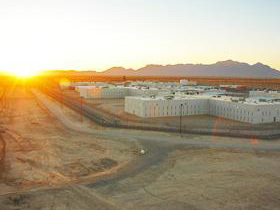 Owned and operated by Corrections Corporation of America (CCA), the 285,000 square foot, all-male medium security campus includes 10 buildings housing 1,596 inmates. Our team has completed multiple projects at the facility in the past 10 years, from new construction to tenant improvement to security upgrades. Our Service Department currently provides ongoing electrical maintenance at multiple CCA facilities across Arizona, including Red Rock. Expected to be complete in December 2013, the current project adds a guard station at the parking lot entry and a new warehouse building to the complex we originally constructed in 2006. It expands a number of facilities including the administration building. A new addition to Structure B in the Prison Area will have a new kitchen and dining hall as well as a manufacturing facility for AZ Corrections Industries.